The persuasive speech outline explained below is the classic 5 step pattern called Monroe's Motivated Sequence. This method of organizing material forms the basis of many of the successful political, public awareness or advertising campaigns you see and hear around you on a daily basis. Why? Because it faithfully follows the psychology of persuasion. It works! Use the quick links to get around this very long page efficiently. The pattern, or steps, of the sequence mirror those identified as being part of the normal thinking processes that occur whenever a person is confronted by a problem. Because the steps are perceived as reasonable, using them prepares and motivates an audience to respond positively to the speaker's message. The sequence is named after Alan H Monroe who taught public speaking at Purdue University, USA. Now let's examine those steps more closely. As you read through start thinking about your audience and your topic and jot any ideas down for later use. 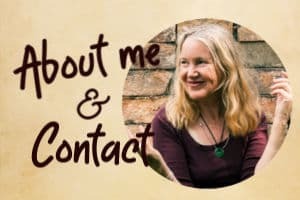 Consider "What's in it for me?" when deciding on your attention-getter. Why should your audience listen? Is it relevant to them? How? As well as getting their attention you also need to establish your credibility or right to talk on the subject. Your audience needs to know that they can believe what you're telling them. If they feel they can trust your expertise and experience they will be much more likely to follow your lead. This step develops the need for change. Now that you have your audience's attention you will clearly show them what the problem is and the extent of it. Remember to cite your sources and remember too that some are more credible than others. You need recognized sources to give your speech the credibility you want. Your goal at the conclusion of this step is to have your audience eager to hear your solution. They agree with you that there is a problem and want the answer. Now you outline your answer or solution and show the audience how it will work. The ideal outcome of this step is the audience nodding and saying to themselves: "Yes. This is possible, practical and sensible." Your answer satisfies them. It gives them "satisfaction". In this step the audience "experiences" the solution. They see (feel, hear, taste...) what will happen if they do as you are suggesting contrasted against what will happen if they don't do as you are suggesting. This step relies on your use of vivid imagery to portray the outcome of their action, or inaction. They see and feel the pleasure, or pain, in their imagination. To bring it home to your audience the pictures you provide, the stories you tell, need to be relevant and believable. What you want folk thinking as you conclude this step is: "I can see that this would be good for me." In this last step you present your call to action. To be effective the action step must be readily doable and executed as soon as possible. Make it as easy as you can for your audience. If you want them to sign up for something, have the forms available. If you wish them to lodge a personal protest in writing to your local government have stock letters and envelopes ready. In other words do the leg work for them! Action steps that are delayed even for 48 hours are less likely to be acted on. We're human - life goes on. Other things intervene and the initial urgency is lost. 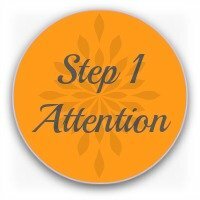 Step 1 (Attention) forms the Introduction. 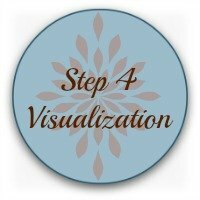 Steps 2, 3 and 4 (Need, Satisfaction and Visualization) form the Body. 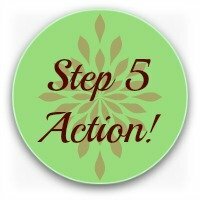 Step 5 (Action) is the Conclusion. And now download and print a blank ready-to-complete persuasive speech outline template. 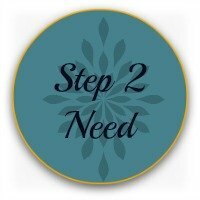 You'll find the entire 5 step process laid out clearly, ready for you to fill in the gaps. 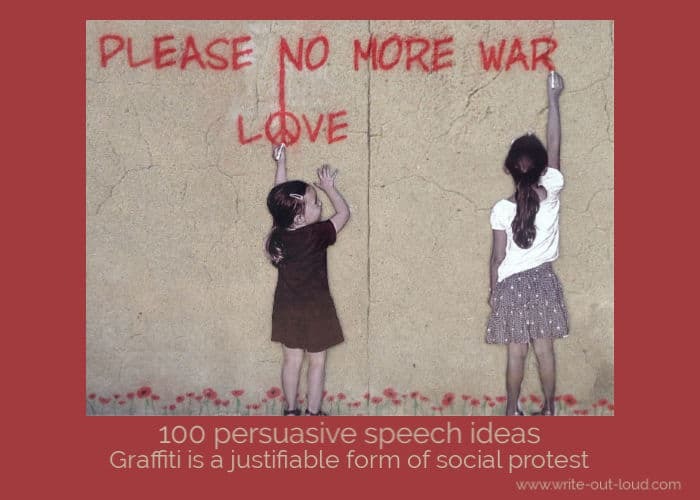 Want to read a persuasive speech example? This sample persuasive speech follows the sequence outlined on this page. Before you click through you should know the topic is somber; the impact of suicide on family and friends. 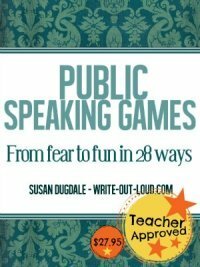 Maybe you haven't found the persuasive speech topic you want yet?